An experienced infantry captain was reporting for duty to the Reserve Officer Training Corps Instructor Group at the University of Massachusetts in Amherst, Massachusetts, a campus located some 20 minutes by highway north of the City of Springfield, Massachusetts. The campus was situated along the Fort River, a small tributary of the Connecticut River. The captain was reporting to the instructor group six months early from his 18 month assignment as a graduate student at the university. At the end of his first semester in the graduate business school he determined to take a full summer term and complete his Masters of Business Administration (MBA) course requirements in December rather than continuing his studies through the following June. He was hoping by this expedient to return to a troop assignment six months early if possible. The university in its initial establishment as Massachusetts Agricultural College (MAC) was one of the first schools established under the 1862 Morrill Land Grant Act. As a Land Grant school, under the provisions of the Act it was required to provide military training to its students. The students were required to take the military instruction. This was a reaction to the embarrassment the country found itself in during the first year of the Civil War when there was a desperate shortage of needed competent junior army officers for the expanded Federal Army. MAC was established in 1867. The school would retain this designation until 1931 when the school would become Massachusetts State College. Shortly after World War II in 1947 the college would become the University of Massachusetts. In the period before and up to World War I, MAC became very much the public military college of Massachusetts. 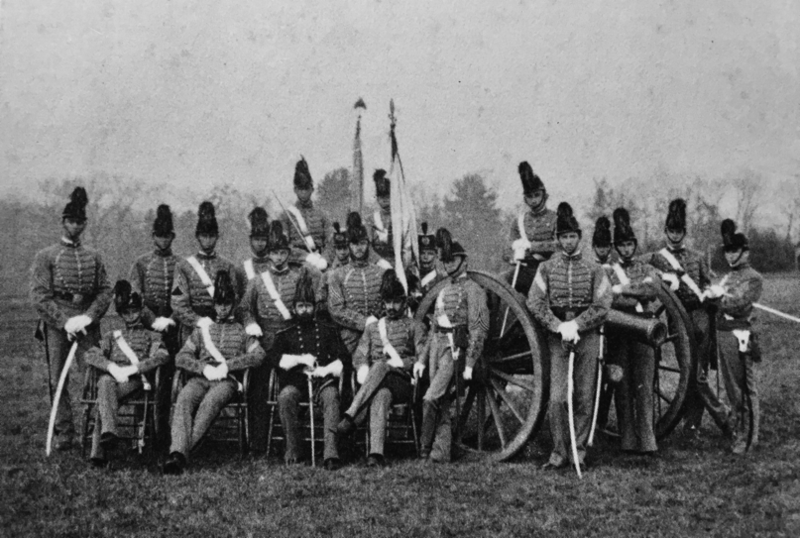 The cadets in this regard wore the same cadet uniforms as were worn at the United States Military Academy at West Point, New York, the only difference to the uniforms being the brass buttons and shako device which bore the MAC cipher. After World War I the college trained horse cavalry officers until the beginning of World War II. The majority of these officers were commissioned into the Officer Reserve Corps and were assigned to the 315th Cavalry Regiment, a Reserve Army unit organized in New England. 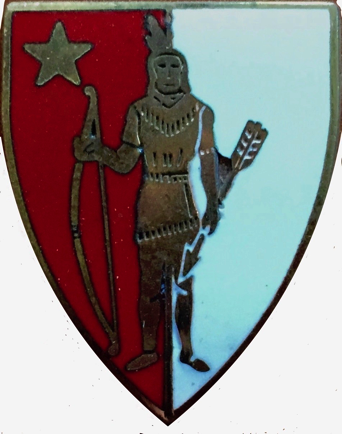 During the interwar years the cadets road marched mounted the 220 miles from Amherst to Ft. Ethan Allen near Winooski, Vermont, a Regular Army cavalry post at the time situated in Morgan Horse country. After World War II the school trained armored officers until the ROTC programs were reorganized as branch immaterial programs. 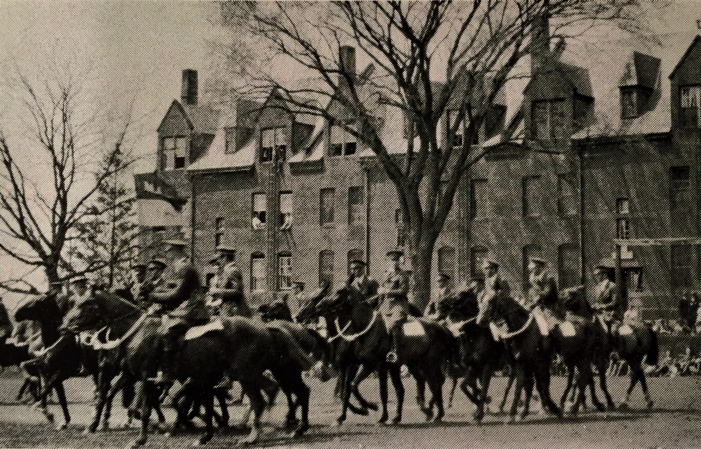 A mounted formation of Massachusetts Agricultural College Cadets at the Amherst Campus in the 1920s. 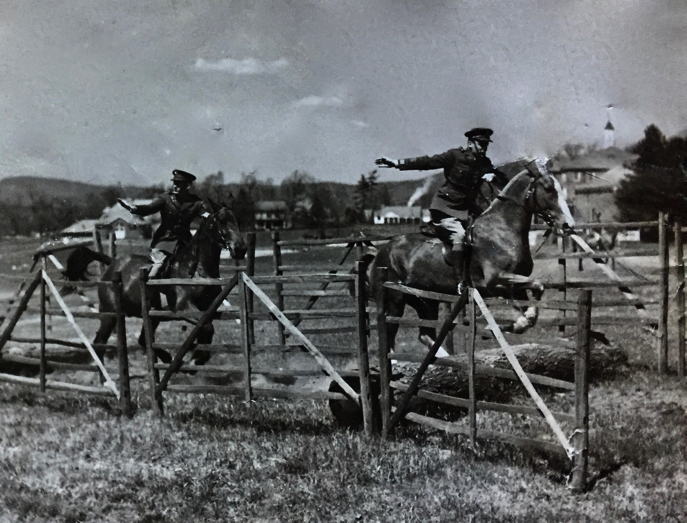 Massachusetts State College ROTC Cadets performing cavalry equitation exercises in 1941. As noted earlier, the captain had been ordered to the university to attend its MBA Program. This education was intended as preparation for later assignments in his newly assigned alternate officer career management specialty of logistics. His eight years of prior assignments before graduate school had all been in infantry units or at formation level headquarters at brigade and division headquarters as a plans, operations and training officer making the logistics orientation an interesting development. the 1920s until the beginning of World War II. Again, the captain had been allowed eighteen months for the academic program with the possibility of extending for another six months as a student officer. In addition to supporting the logistics alternate specialty, the particular graduate school funding program underlying the degree program was designed to support officers with following assignments as assistant professors of military science at the campuses they were attending. The program would assure the officers attending these programs had the minimum academic credential of a master’s degree to meet the faculty academic requirements of most campuses to be extended instructor privileges on these campuses. In the wake of the Viet Nam War, the campuses had become stringent in demanding that the Army provide professors of military science that met their instructor criteria. The University of Massachusetts at Amherst was one of the schools that had aligned aggressively with this approach. The eighteen to twenty-four months as a graduate student as outlined previously would then be followed by three years as an assistant professor of military science assigned to the Reserve Officer Training Corps instructor group on the campus. By the end of the first semester, the captain had as noted earlier determined on a strategy to truncate the four and half years and hopefully expedite a return to troops by six months. By the end of the captain’s first (spring) semester, a full summer session had been arranged that would allow, with a full fall semester, completion of graduation requirements by December and award of a master’s degree in business administration by January. As a result of following through on the above program the captain had been able to sign into the instructor group for duty in January at the beginning of the spring semester. 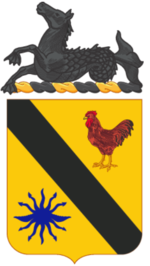 To accommodate his early arrival, the Professor of Military Science (PMS), a Chemical Corps lieutenant colonel who had spent his first two years of commissioned service as a field artillery officer with an 8” howitzer battery in Germany and had previously served with the instructor group as an assistant professor, designated the captain as the group’s supply and logistics officer. This position was analogous to a battalion S-4. The captain was also assigned as the Military Science (MS) I cadet (academic freshman) advisor and the instructor for the one semester hour U. S. Military History Course. The captain was informed that being an Infantry Airborne Ranger officer he would understudy his West Point classmate, the group’s current Plans, Operations, Training and Curriculum Officer, a position essentially the same as a battalion S-3. The classmate was scheduled to leave in eighteen months and would plan to hand his duties over to the captain within the next 12 months by which time three new captains and a major were scheduled to be on staff who would assume the supply and logistics officer duties and other staff and cadre functions. This prospect was exactly what the captain had hoped for allowing an ability to apply his over seven years of troop experience as well as recent material garnered while attending the Infantry Officer Advanced Course at Ft. Benning, Georgia prior to graduate school. The captain assumed his new duties and was busy getting up to speed over the next four months. Then in April, the captain responsible for the recruiting/enrollment function departed for his next assignment. The cadet unit had been seriously depleted as a result of the on campus reactions to the late Viet Nam War with the result that the cadet battalion at one point had been reduced to some 69 Army cadets. The Air Force unit had fared a little better. Over the last two years the cadet unit had been rebuilt to some 150 cadets. But a measure of viability for this particular campus program and a determinant on that viability if not achieved, was that the unit’s in-take reach at least 25 MS III contracted cadets at the beginning of each academic year. These were cadets that contracted to accept a commission in the Army at the successful completion of their MS III and IV years. The target was 30 contracts to address any losses subsequent to MS III cadets contracting. For whatever reason, the outgoing recruiting/enrollment/contracting officer had completely failed to close any contracts prior to his departure. The group was in a difficult situation. 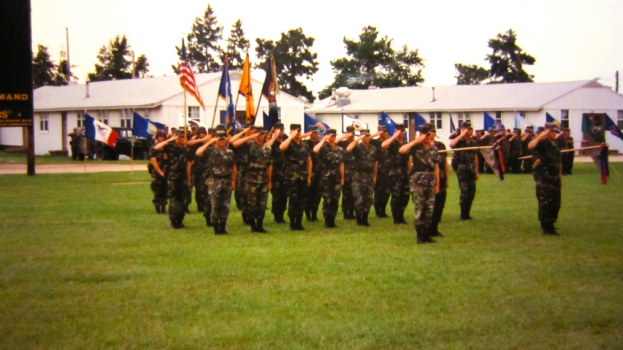 The PMS determined that he would assign the new captain the duty of enrolling the necessary contracts which coincided with the captain’s being identified to deploy to Ft. Bragg, North Carolina at the end of May to serve on the ROTC Region 1 Advanced Camp staff, the almost eight week active duty summer field training of the MS III cadets before their progression to MS IV status. It developed from the two duties the captain now faced that he had little over one month to enroll not less than 25, preferably 30 contracted MS III cadets. The outgoing recruiting/enrollment/contracting officer had done some work toward contracting individuals but no contracts were yet active. It developed that the new captain was able to capitalize on this work following up contacts and interviews and contracting several new MS IIIs from the previous work. Primarily however, the captain’s working resource to meet the requirement was a several inch thick computer printout listing several thousand student names who were identified a veteran. In short, the captain would have to cold call the names on the list to develop the needed contract level. This would be and was a laborious process with no known indicator of success except to work through the phone number listing. What became quickly apparent was that many phone numbers were not valid. There would also be “prospects” that would walk into the office requesting information. If a prospect had the necessary documents verifying completion of the MS I and MSII two years at the university or at another campus they could be contracted as MS III cadets, Completion of the Basic Camp at Ft. Knox, Kentucky, successful graduation from the Army’s or another uniformed service’s basic training (this could be active Army, Army Reserve and National Guard personnel), completion of equivalent training with another army, or completion of a junior ROTC program, and the student met the physical requirements and was a matriculating student at the university or other college participating in the program (at the time students from Amherst, Hampshire, Mount Holyoke, Springfield, Smith, Westfield State, and Western New England Colleges were eligible to participate in the program through courses being taught on campus at the university, Westfield State and Western New England Colleges) were also eligible. Students from the university and all of these other schools who had completed these alternative prerequisite programs could contract into the program at the university as MS III cadets. Thus, for the captain a very hectic “full court press” month developed. One significant aid to the work was the rising reputation of the program due to initiatives led by the current Plans, Operations and Training Officer. That work had sent a wider message to students of the community of eight campuses participating in the program that an exciting hands on leadership program that took a direct interest in the individual student was operating on university campus, one that assured an initial post graduation employment. More than a few prospects contacted by the captain had gotten this word and were better disposed to the captain’s initial contact. Nevertheless, there were hundreds of rejections. By dint of perseverance and commitment to mission, the captain was able to contract 30 new MS IIIs. This result proved vital to later growth and improvement achieved over the next three years. The 30 cadets in this cohort proved critical to later success. From a leadership standpoint the captain demonstrated an essential form of leader approach to engaging and bringing on new people. He knew the business and was able to articulate it effectively and convincingly to those who did not have detailed information. As well he had the attribute of presenting the service in a light apparently attractive to the prospects. The Army took on a considered viability as an initial career option for these prospective MS III candidates thanks to the captain’s ability to flesh out that opportunity. The PMS, the MS III contracting level being as mission critical as it was, might have as the senior leader in this case, engaged the outgoing recruiting/enrollment officer more aggressively and actively regarding the status of the effort. That said, though he did not control all aspects of the developing situation’s timing of key events, the PMS did know the importance of the MS III enrollment and contracting level. From a leadership perspective, the PMS did take necessary action with some guidance to assign an officer to the critical task within the time remaining, enough time as it happened to effect the enrollment before the captain deployed to Ft. Bragg. But it was a close thing. It might be argued that some more concerted effort by the PMS might have been made to monitor the progress the recruiting/enrollment/contracting officer was making throughout the spring semester. The PMS might have demonstrated a more hands on leadership during the length of the semester given the critical nature of having in hand the necessary number of contacts prior to the beginning of the fall semester. In fact, had the captain not completed his degree requirement early he would not have been the fortuitous resource he became to attack a major aspect of program success on a very short fuse. In fairness, even the best leadership applied to a situation will not be an antidote to avoiding close things. As well, a fluid and changing personnel situation can exacerbate the challenges to success. That said, there is no substitute by leaders for timely and focused planning with following decisive action. Though success was pulled from the jaws of looming failure in the nick of time, it is clear that a more effective leadership might have been apparent in this case then it was. SPECIAL EDITION - Dr. B Asks, "What are you reading?"